THE FLATS – Matt Kuchar, who broke a four-year win drought at the Mayakoba Golf Classic in the fall, kicks things off for former Yellow Jackets this weekend at the Sentry Tournament of Champions in Hawai’i … This and more in the Georgia Tech #ProJackets Golf Report. The Sentry Tournament of Champions, reserved for PGA Tour winners over the last calendar year, is played at Kapalua Golf Resort on the island of Maui, which seems an appropriate place for the eight-time PGA Tour winner to resume his 2018-19 campaign. Kuchar, No. 7 in FedEx Cup points after missing out on the Tour Championship last season, traveled all over the world in the fall. He served as a vice captain for the United States in the Ryder Cup, and he played in the Dunhill Links Championship in Scotland and the Australian Open and the World Cup of Golf in Australia on top of winning in Mexico. He did play twice in the U.S., tying for 57th place at the Shriners Hospitals for Children Open in Las Vegas and partnering with his father, Peter, at the PNC Father-Son Challenge in Orlando. Oddly enough, he was the only former Jacket not in the field for the RSM Classic in his current hometown of Sea Island, Ga. 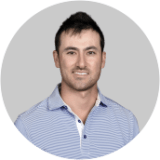 The Kuchars tied for ninth place at the Father-Son event back in mid-December, while Stewart Cink and his son Connor, former champions of the event, tied for second place, and David Duval and his son Brady finished 14th.